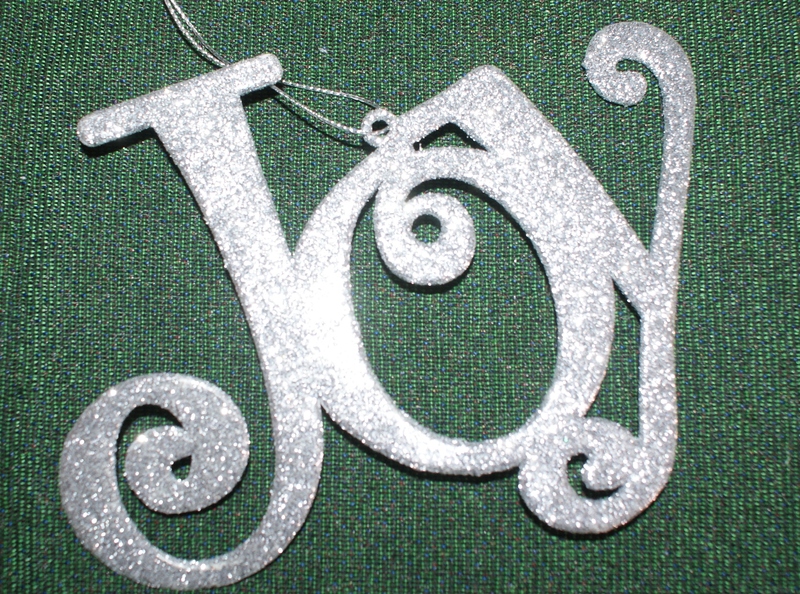 This Christmas is a first of sorts for my husband and I. December 25, 2013 will be our first Christmas as empty nesters. Don’t worry; this post isn’t going to be a sappy one lamenting a dismally quiet household and no one to wake up with us on Christmas morning. Although we are disappointed that our eldest can’t make it home this year with our only grandchild, we will have our youngest and her husband here for the holidays. With all of the ornaments laid out on the kitchen table this year, I made a decision. I was going to split them and ship them! I painstakingly and with absolute fairness, separated them into two large flat rate postal boxes. I wrapped them using bubble wrap and tissue paper and one Christmas dish towel (a little extra). One of the boxes is on it’s way to Louisiana while the other heads for Texas. Why, you might ask? Well, I decided I had a couple of choices. I could hoard them all and continue to have the same old tree year after year, or I could send them each a little piece of home, while also helping these young couples build up their Christmas decoration stock. Why keep them until I’m old and grey? (wait, I’m already grey without color every six weeks) – anyway, I figured I would let them enjoy them and have memories of home hanging from their trees. What was in it for me? 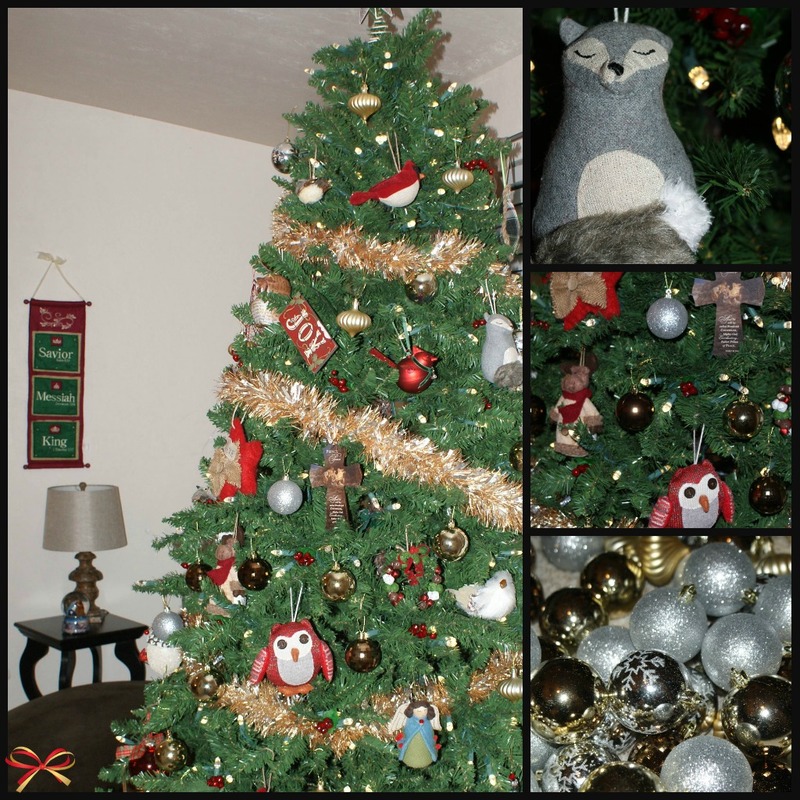 To be honest, as I packed all the cute, kiddie looking ornaments, I was dreaming of a tree similar to one I’d encountered on Pinterest, with a woodland animal theme. You might think I’m not sentimental enough and that I should be pining for the ornament that a 6yr old made in art class. Well, I did keep a couple that were made by their own little hands. However, not for my tree; just for the memory. I much prefer the memories of spending time with them and our conversations and laughter to things. I marched right to Kohl’s the following day where I had already eyed the ornaments I liked and filled up a basket with owls, foxes, cardinals and others that would match my theme; Then it was off to Target and then Family Christian Store for more tree decorations. I turned on Christmas carols, turned down the A.C. (yes, good old south FL weather) and began. A couple hours later I stepped back, pleased and beamed when my husband said it was beautiful. As families grow and change, a new tradition or a new twist on an old tradition helps to move us forward. I have beautiful memories with my children decorating and them picking out an ornament every year, but they don’t live here anymore and this tree makes me happy. It let me pour out some creativity and refresh an old theme. We can’t dwell on the past and the way things were. Things and people change and we can’t allow ourselves to get bogged down in the yesterdays and how things used to be. We grow, people pass on, family members move, more members are added. If you find yourself in a new season in life, make a change, do something different, something new and enjoy it! I am reminded of a similar post called “Gone are the matching bows” that I wrote at a different time in my life last year about Christmas trees and letting them be for the children; you can click on the link below to check it out. Thank you for your beautiful post…it brought a tear to my eye. Every year my husband takes the 3 boys to the Christmas tree farm to find “the” tree and then they lug it home. It is then my job to oversee the decorating, as the ornaments from all the years past come out again and memories of their meaning are relived….the polystyrene foam and paper chain made by my oldest (now 17) when he was 3, the little filigree ornament purchased from “Top of the World” shop at the top of the World Trade Tower in 2000 (we always take a moment to reflect on this one), and so on…. This year, the boys have been and got the tree but it is sitting at home waiting for me to get out of hospital following a nasty infection post-mastectomy for breast cancer. It has been quite the year and I just want to be home to decorate the tree! I know this is a really special tradition for my boys. Hopefully I’ll be out by the end of the week. I love how you’ve sent your children the ornaments from their childhood for them to have a piece of home with them, and you are moving forward with new ornaments. I’ll remember this in years to come. Very moving. Oh, thank you so much for taking time to post a comment and please know my prayers and best wishes for a speedy, uncomplicated recovery are coming your way.